I’m not the most disciplined person when it comes to my facial skincare. After my skin dried the heck out at Burning Man and i contracted allergies due to the dust and heat (super painful and sad case), i couldn’t wait to come home and get a facial — not something i usually prioritize at all. Every two days? Damn… It just seems like a lot of effort! I placed all the skin masks i have on my bathroom counter in plain sight so i’d be constantly reminded to put one on… at some point! Every two days isn’t realistic for me… but the mounting definition of fine lines pushed me TO JUST DO IT. I think i got a facial mask in every 3-5 days, and wanted to credit some of the organic ones i’ve been letting my skin drink in. 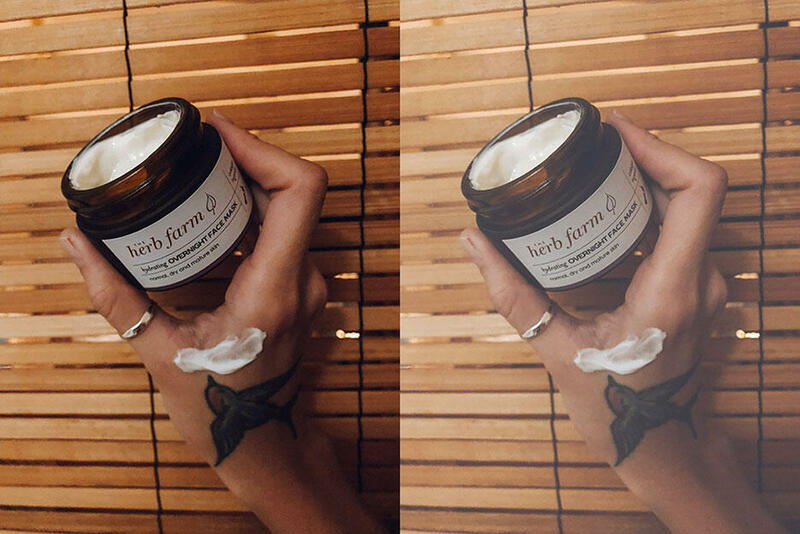 I’ve been using The Herb Farm moisturizer on my holidays, and when i feel like a more earthy scent (it seriously smells like a rich salad!). Actually, all their products i’ve tried so far smell amazing, you should just go sniff it some time at TNS Skinlab stores. Been gifting their serums to gfs who are into organic products for their birthdays! The brand uses traditional herb knowledge with latest innovations and is made in New Zealand with 100% natural products. Of course, it has no parabens, SLS, GMO, artificial colours/fragrances, silicones, and all those nasties we read about. Recently tried The Herb Farm Overnight Face Mask that has collagen support for normal/dry/mature skin. 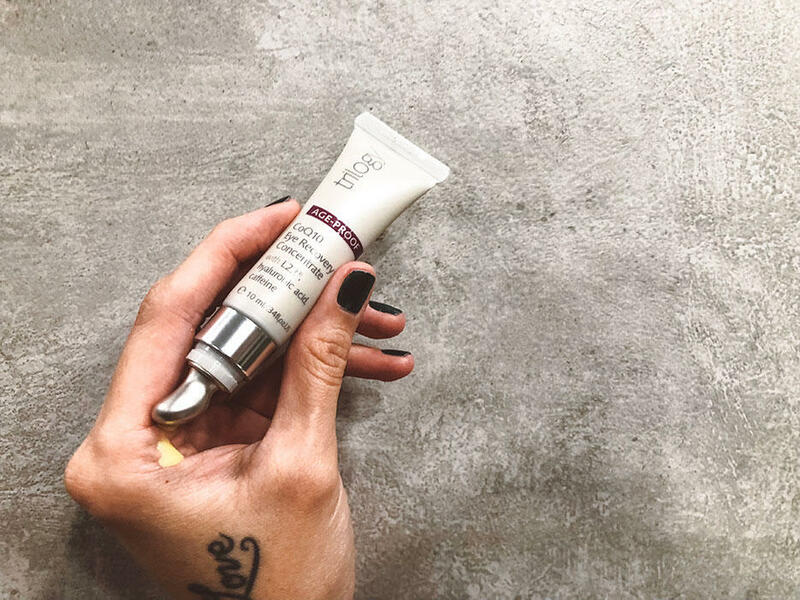 It’s a creamy face mask that smells sweet without being overpowering, and is applied overnight to deeply hydrate skin so you wake up to nourished skin. Trilogy is a fully certified natural brand, also from NZ, whose cult Rosehip Oil is sold every 20 seconds globally. They’re the brand who introduced the world’s first rosehip oil skincare range in 2002. The first product i used from them was the Rosehip Transformation Cleansing Oil. 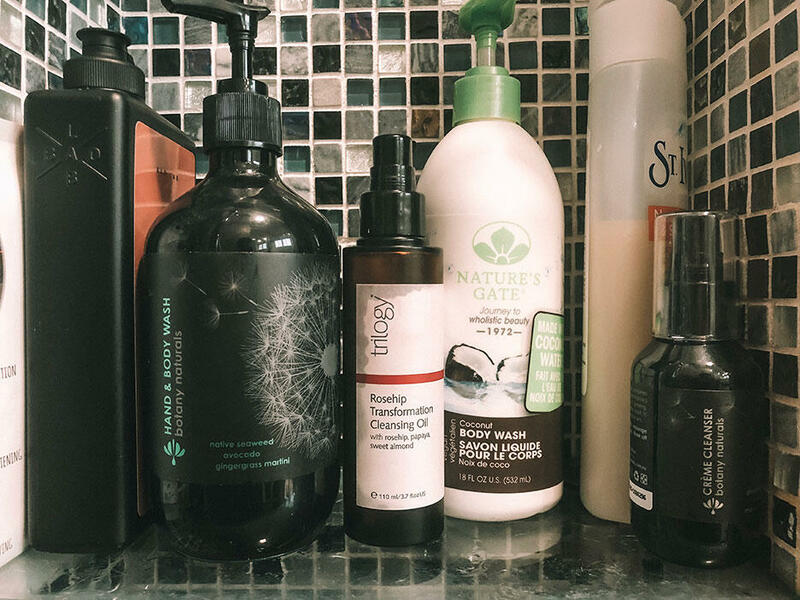 I’m BIG on cleansing oil to effectively glide off all the event make up (and layers of eyeshadow) without tugging at my skin with remover and cotton pads. For awhile, i stuck the cleansing oil at the back of my cupboard cos i had eyelash extensions and you can’t get oil near those lashes. But now, i’ve given up on extensions (just too much trouble atm… and my natural ones have grown back nicely and i want them to stay!) so the cleansing oil is back in my shower. Out of all the organic facial products i’ve had the pleasure of trying, this one below has been my absolute favourite. There was one night i wanted to test how many times i could apply this overnight mask to my skin cos it kept on absorbing so easily, and i counted 6 applications where my skin just DRANK IT ALL UP. 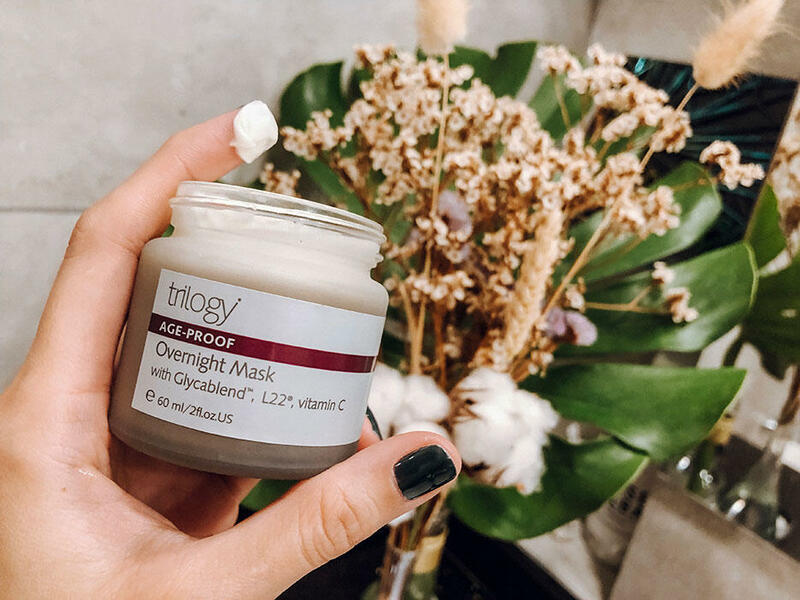 Trilogy’s Age-proof Overnight Mask has a powerful blend of potent botanical extracts and vitamins; like Vitamin C, Glycablend™ (that helps reduce collagen breakdown by 88.9%), and super-ingredient L22® (which mimics the youthful skin lipid profile). I’ve never even heard of the two latter ingredients before, but whatever it is — i LOVE the texture, scent and how my skin feels after. If i had to bring only one mask jar with me wherever, THIS would BE IT. Trilogy’s Glycablend® formulation provides the ultimate antioxidant protection and anti-aging benefits against cellular damage caused by internal glycation, and is also present in another product i have from them – the Trilogy Age-Proof CoQ10 Eye Recovery Concentration – an innovative eye-concentrate with cooling applicator which i appreciate very much cos it forces me to take some time out to massage my eye area (which i’d dream of but never actually do otherwise). A clay mask i’ve tried this year, is Antipodes Halo Skin-Brightening Facial Mud Mask which was launched middle of 2018. 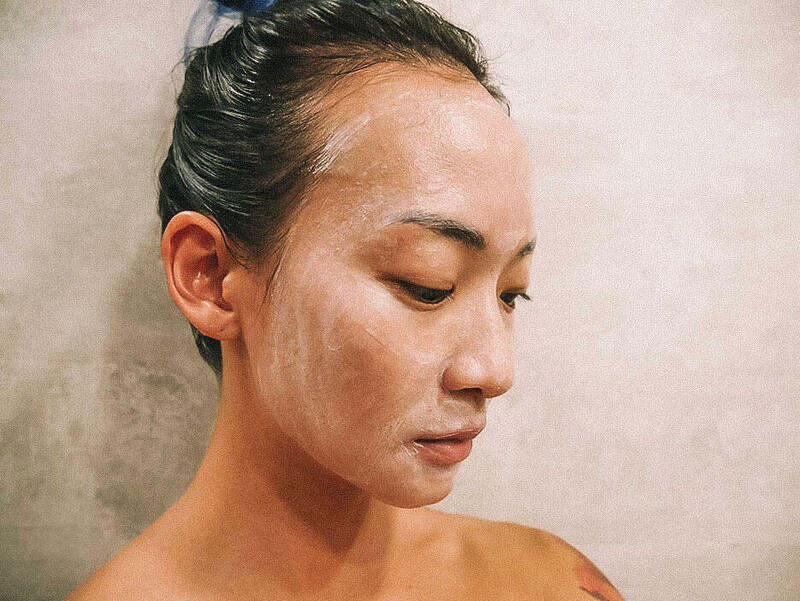 The certified-vegan brand uses white volcanic mud to help provide a high-performance detox for a luminous complexion, and contains minerals like sulphur, calcium, silicon and sodium (the mud binds to the skin’s oils and absorbs them, helping to carry away dirt and residue once rinsed off). Completely free of beeswax and honey (hence certified vegan status), the mask is scented with pure plant fragrance of vanilla, raspberry and musk. It also contains antioxidant compound Vinanza Grape and Kiwi, which is clinically shown to lighten skin by targeting melanin production. 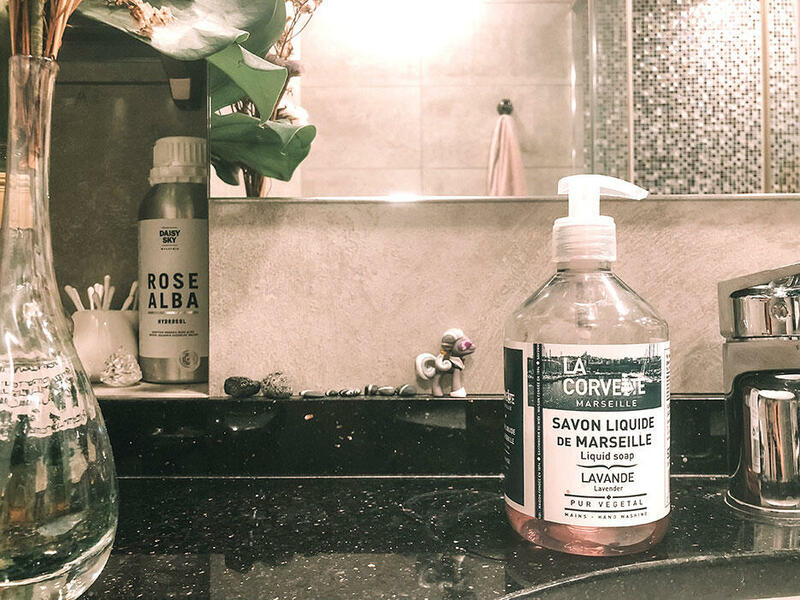 A hand soap that’s been a regular this year is from La Corvette Marseille — an organic soap made from oils of 100% vegetable origin. Naturally eco-friendly and biodegradable, the French product can last twice as long as conventional soap due to its method of manufacture by cooking and slow drying. I place the soap bar version in the shower for Val cos he prefers bathing with bars. I literally just took this shot without moving anything.